Clean the printer often help maintain print quality and equipment longer. It is possible that not many people have the time to devote to clean a printer, instead of doing it yourself to a movie or stay home eating dinner, in the office rather just go to another website to read something of interest. While it is important to spend some time to make a clean printer or sometimes called "maintenance". Computers and printers are daily exposed to many factors that damage every day print quality and performance of the printer, such a toner can be saved if we detect in time any printer staple this to about to enter the cylinder unit. Then we discuss some necessary maintenance and simple for the printer that can help extend the lifetime of your printer considerably. In most cases printers need cleaning as it falls outside dust and gathers moisture that we eliminate through a cleaning, it is recommended with a cloth slightly damp. The more dust and dirt of the printer on the outside but increases the possibility of obtaining documents of poor quality. 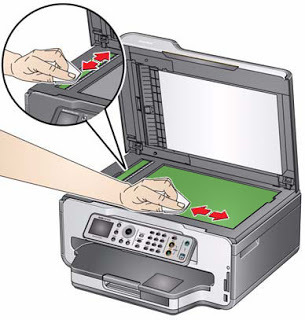 These cleaning kit can get them at any electronics store or computer, are available from a foam that does not generate moisture to the printer, this is an advantage because it helps conserve the printer clean without making short circuits. Even you taking the cleaning kit you may need the help of a professional to do the cleaning and maintenance of equipment, verify that it is an experienced and dedicated only to printers. Put a crumpled paper into the printer or dust and lint is a big mistake that can be committed, this will only lead to dirty our team to where we can not eliminate. Clean a printer is a simple process, we only need constant cleaning without stopping, do not let accumulate a lot of dirt that is difficult to remove later. Follow the procedures and if you think you need help just make a comment on this publication.